I believe that teaching healthy boundaries is an essential topic when working with teenagers. Teens often struggle with learning when and how to say no to others, deciding what to share and what to keep private, and knowing who they can trust. Those that have experienced trauma or grew up in a family with unhealthy boundaries have an even harder time than their peers. 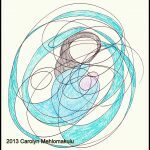 I find that using art to visualize and explore boundaries can facilitate good insight and open the door to helpful conversation. “Boundaries” is one of those words that therapists often use but teens are not necessarily familiar with. 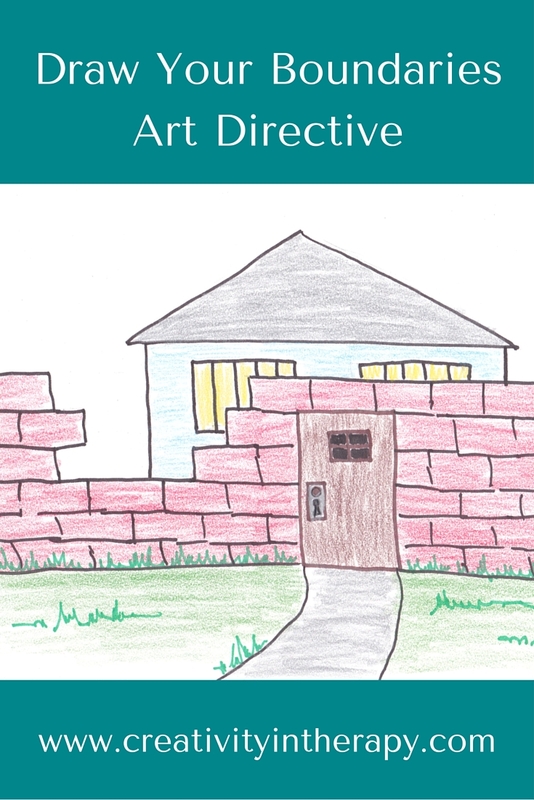 To make it more accessible, I talk about the idea of boundaries as being like a fence around a house. The fence lets people know where your space starts and keeps them from just walking into your yard. Some people have no fence, others have a short fence that you can step over, and others have a tall security fence with a locking gate. Likewise, the doors and windows on your house keep people from just coming in without your permission. I then explain that we all set boundaries around who we let close to us, who can touch us and in what way, what we choose to tell others and trust them with, and how we expect to be treated. Sometimes I’ll give the teen(s) a short assessment that helps them identify whether their own boundaries are too closed, too open, or both. 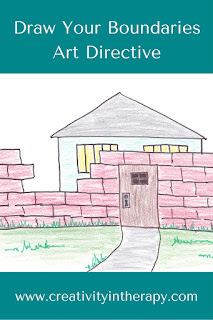 We then further explore this through the art directive. Create a picture that represents your own boundaries. Use the metaphor of the fence and house or another image if you choose. Think about how much you let others in or how much you try to keep them out. Think about whether there are certain people that you trust to let in more than others. 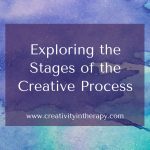 I’m been amazed at the insightful and varied responses that I’ve gotten to this directive. 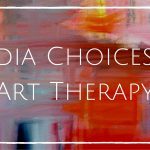 Teens who have been hesitant to open up or seemed uninterested in therapy have created thoughtful, honest artworks and shared more about themselves. 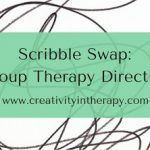 I’ve found that this directive is good in individual sessions, but also really great to do in group therapy. In group therapy it can be really helpful for the teens to see the different ways that people can think about and enforce boundaries. Seeing different responses makes the idea of living in a different way seem possible, not just something hypothetical that a therapist talks about. And seeing similar responses helps to normalize the guardedness that so many teens feel in response to trauma or other hurt in their lives. In discussing the artwork afterwards, you can talk about what purpose the current boundaries have served and whether anything needs to change. 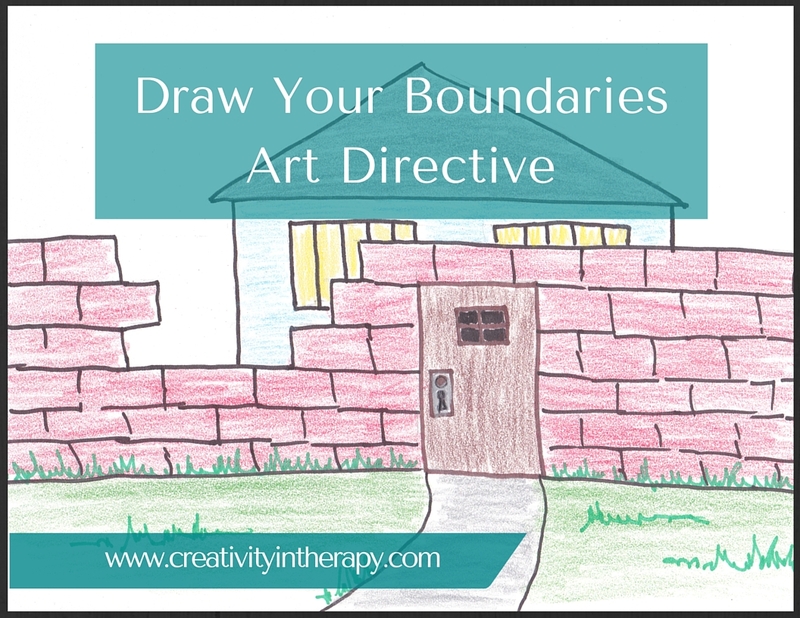 I often provide psychoeducation about what “healthy boundaries” look like, how to work towards more healthy boundaries, and how to be assertive in enforcing your boundaries with others. I draw a lot from the Seeking Safety model in my practice, and the book has a great module on boundaries that is appropriate for teens and adults. 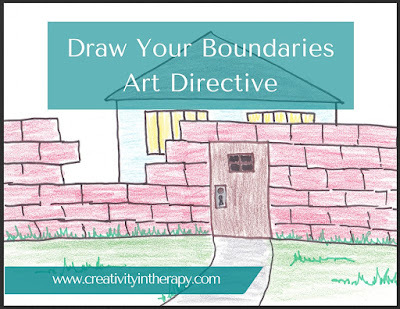 After talking about healthy boundaries, you can even go back and alter the art piece, either on the original paper or with a tracing paper overlay, asking the teen to think about what they would like to change and how they would like their boundaries to be in the future. For some people, this will be putting up stronger boundaries to better protect themselves and for others this will be taking down some of the walls that keep everyone out. How do you address healthy boundaries with teens? 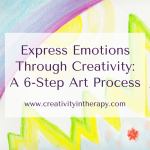 Do you have an art or experiential exercise that you find helpful for exploring boundaries? Please share in the comments below! This is a great website, thank you for sharing! Carolyn I love your website. 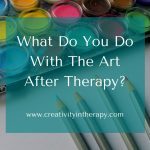 I’m an LPC with no art therapy training, trying to incorporate out-of-the-box approaches to working with my kid and teen clients. About 90% of my clients see me for anxiety related issues. When I have clients who are really struggling with a lot of anxiety, but not engaged in doing anything about how they’re feeling, we’ll talk about boundaries (or lack of) with their anxiety. I’ll have them think of someone who annoys/bullies them and then ask if they can imagine that person having full access to their house, relationships, etc. Kind of gives them a mental visual about what anxiety is doing. 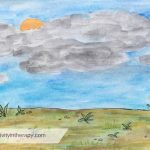 What I like about the exercise in this post is how I could use this to help teens think about and reveal more about what it actually looks like whenever we have no boundaries (via coping skills, cognitive challenging, mindfulness, etc) for anxiety and it can run free. Awesome job and thank you for sharing!! Hi Maryanne. Thanks for reading the blog and glad that you found the directive helpful. 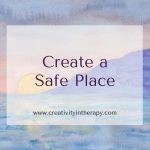 I love that idea of talking about boundaries with anxiety, not just with other people. 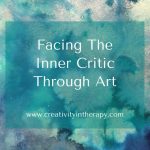 There is a similar grounding technique that I use sometimes that directs clients to image putting up a boundary between themselves and the negative emotion. I will then have them draw and image of the boundary or container that they visualized. 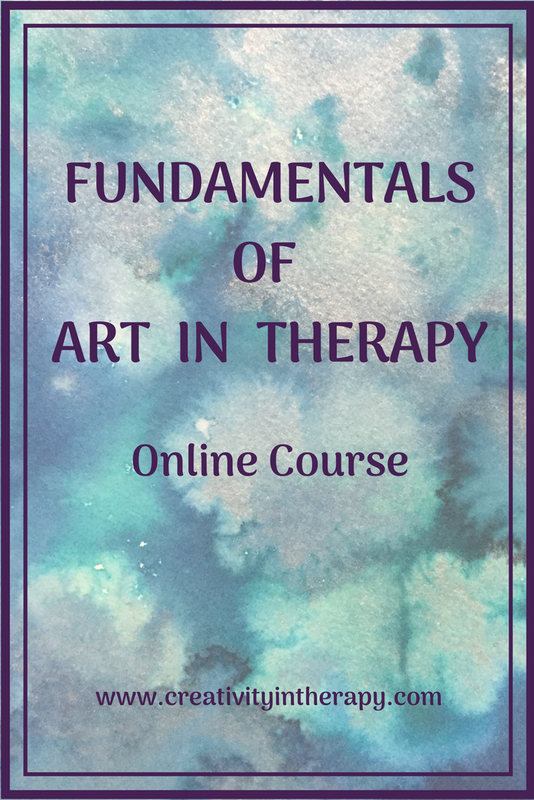 Sharing this directive with one of my art therapy classes. Thanks! Hi Laura, thanks for sharing it!